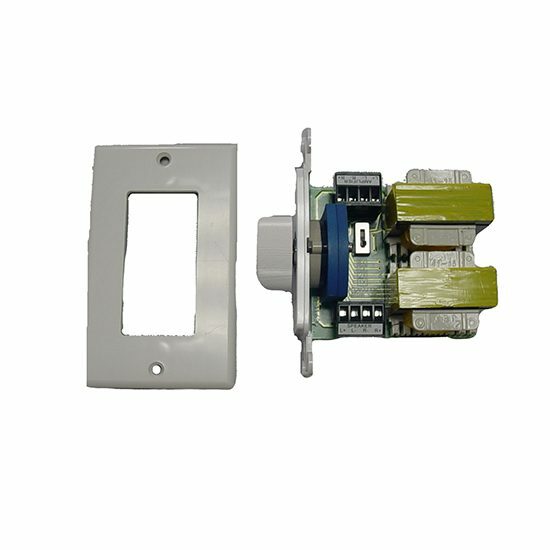 Impedance matching stereo attenuator wall plate? Impedance matching protects the amplifier from under/over load. Ideal for use with the?DKS108?8 way speaker distribution hub and?KS1016A?Speaker Cable. (1) Stylish Decorated design. Available in white color. (2) Mounts easily in any J-box or P-ring. (3) Rotary Type control of volume level and speaker on/off. (5) Large detachable Speaker connection.